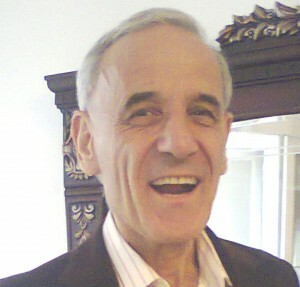 CURICULLUM VITAE | Dr. Ilija Lakicevic, Res. Prof. I was born on August 6, 1950 in Grab, Montenegro (former Yugoslavia). 1973 – Successfully completed the study of physics at the Faculty of Natural Sciences and Mathematics in Belgrade, Serbia. 1975 – Acquired the permanent employment in the Institute of Physics, Belgrade, Serbia. 1977 – Acquired the Master degree in the field of atomic and plasma physics, at the same Faculty, under the title “Stark Width and Shift Parameters of the Alkaline Metals Spectral Lines in Plasmas”. 1982 – Acquired my PhD in the field of atomic and plasma physics, at the same Faculty, under the title: “Regularities and Systematic trends of Stark Width and Shift Parameters of Spectral Lines in Plasmas”. 1985 -1987 Spent two years as fellow of the Alexander von Humboldt Foundation from Bonn (Germany) at the University Düsseldorf developing plasma UV-spectroscopy at the tokamak UNITOR and performing measurements of the plasma instabilities in the scrape-off layer at the tokamak TEXTOR in Jullich (Germany). measurements of the magnetic field configuration at the stellarator W7AS as well as the measurements of the limiter heat load. collaborating with the IAEA ( International Atomic Energy Agency) from Vienna (Austria). In 1995 I acquired the Research Professor degree. 2000 – At the end of 2000 I chose to leave the Institute of Physics and went on my own way to discover and learn the God’s principles and laws of creation. After 10 years of the progression toward that sacred goal, I finally succeeded and now I know many of the God’s creational principles and laws (unknown until now) and can apply them for the simple and efficient creations which make the basis for a new life quality on this planet. As the pioneer of the creation with the New Energy, in 2006 I have successfully demonstrated that ability by transforming the quality (the degree of centeredness; my definition) of the microwave radiation of a cell phone using the self-created multilayered structure without any electronic components, in the form of a holographic sticker. This new technology which I call “Wave Field Centeredness” (WFC) has been certified by the Hado Life Institute of the famous Dr. Masaru Emoto. Applying the WFC I’ve developed the TESLA RADIATION BALANCER – the genuine product in form of a self-adhesive sticker certified by the Hado Life Institute of Dr. Masaru Emoto which 100% balances radiation from any device, if attached to it, protecting human body and environment from its harmful effects and eliminating with time damages already caused by the radiation. It can be successfully applied to: cell phones, computers, laptops, microwave ovens, cordless phones, tablets, wireless monitors, Wi-Fi routers, TV-sets, Radios, and any other source of radiation. Thanks to the consistent pursuit of my Leitmotif “The Authority of Truth rather than the Truth of Authority” I have experimentally proved the true atom, cell and particle “JULA” concept and the results are in the publishing process. According to the “JULA” concept, atoms, cells and particles are made of the visible light which are spinning around the centering centering Mind (Spirit) points (the black holes). The nature expresses the energy in the electric potential in only one way, which is the same way both for the atomic and for the stellar scale: by projecting mentally the rings of the visible light which are spinning around the centering Spirit points. This amazing beauty of creational simplicity is the basic fundamental truth of the new science that is based on the knowledge of the cause. 5. Enables creation of millions of the new work places worldwide. I speak English, German and Russian and can use good computer. I use to practice the sport very gladly and am a unique tennis coach.